What is a ‘Green Badge Guide’? Throughout my website you will find mentions of ‘Green Badge Guide’ but what exactly does that mean? In theory, anyone can become a guide in Oxford as here in the UK, unlike other countries, Tourist Guides are not regulated. This means that you could be taking pot luck when you book a tour, with out a regulating body or any official qualifications required. The governing body for Tour Guides here in the UK is The Institute of Tourist Guiding (https://www.itg.org.uk). To become a member of The Institute of Tourist Guiding (or ITG for short), there is an admission process to register for one of the course that they offer. All candidates are interviewed and then selected for various capabilities displayed at that interview. They would be looking for clarity of speech, presentation skills, calm and customer focussed skilled … to name a few. Each course is usually run by The Tourist information centre and accredited by the ITG. I opted for the Green Badge and this involved an 8 month training programme. I attended lectures, talk and walks conducted by professional such as academics at The University or other Green / Blue Badge guides. Each week we would have a practice walk where we could demonstrate our knowledge (and marked accordingly). At the end of the training period, we undertook 4 exams (two walking and three written) and it was only on achieving a high grade at all these examinations that we passed. Then we were awarded our ‘Green Badge’ in our presentation held at The Town Hall in Oxford and by The Lord Major (patron of The Guild of Oxford Tour Guides). Guiding is not just about knowledge. It is also about being able to project your voice but to also know when to lower the volume (when inside a college for example and the students are studying). It is also about group management and ensuring the safety of the entire group. 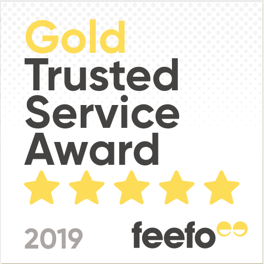 It was a pleasure and a privilege to be accepted on to the training course and, although there were many times of stress, I look back on it now as a rewarding time. Training does not simply stop with the presentation of our badges. It goes on. Each year, The Oxford Guild of Tour Guides, runs a Winter training programmed to broaden and enhance our knowledge. officially recognised as being trained to perform a particular job; certified. It was a glorious day when I set out on an endeavour to find the pubs of Morse & Lewis located outside of Oxford. Along with me came Phil, a good friend who also happens to be an excellent photographer! It wasn’t just about a boozy lunch – sadly I was driving, but about locating and getting to know the scenes in preparation our new tour. It’s a hard job but someone has to do it.! The tour will be unescorted and the final details are yet to be confirmed. Please check out my website for more information. A charming 17thcentury public house with thatched roof. Binsey is a small hamlet located approximately 2 miles north west of Oxford. 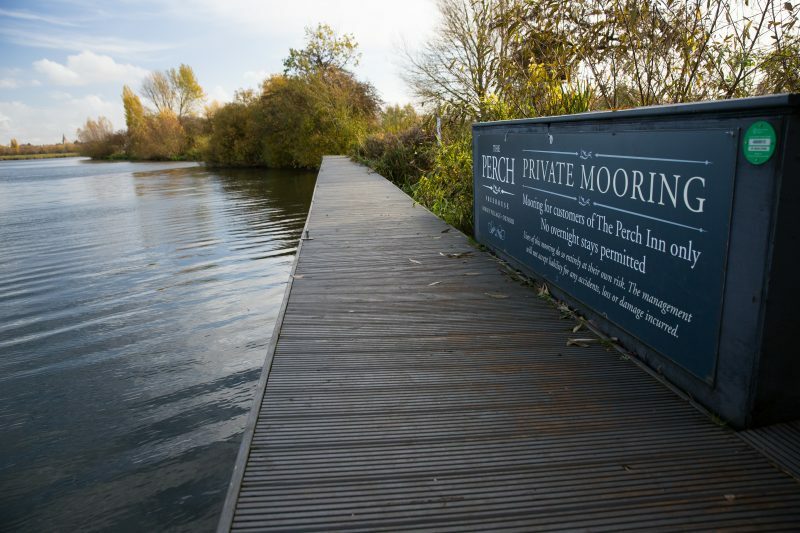 It is possible to walk here from the centre of Oxford and is a pleasant stroll along the canal, across Port Meadow and then following the Thames. 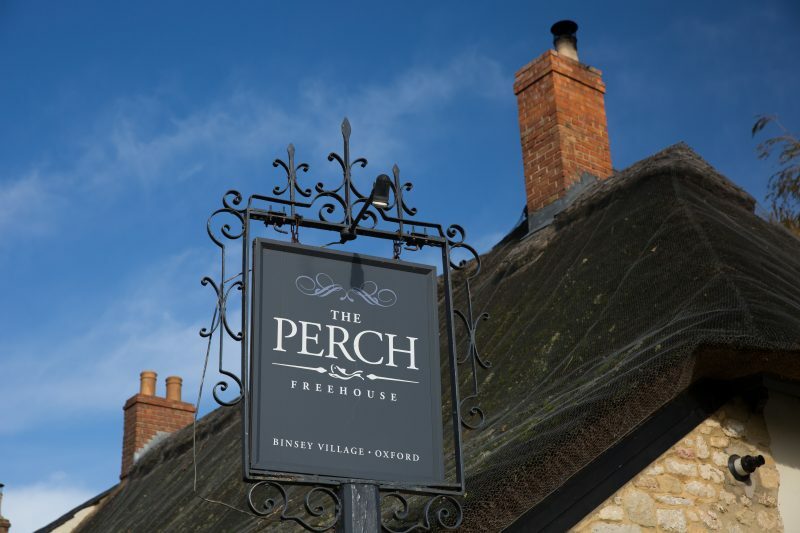 The Perch featured in the Morse episode ‘Daughters of Cain’and the area has many other literary connections. Gerald Manley Hopkins wrote a poem ‘Binsey Poplars’when he found the riverside trees felled. 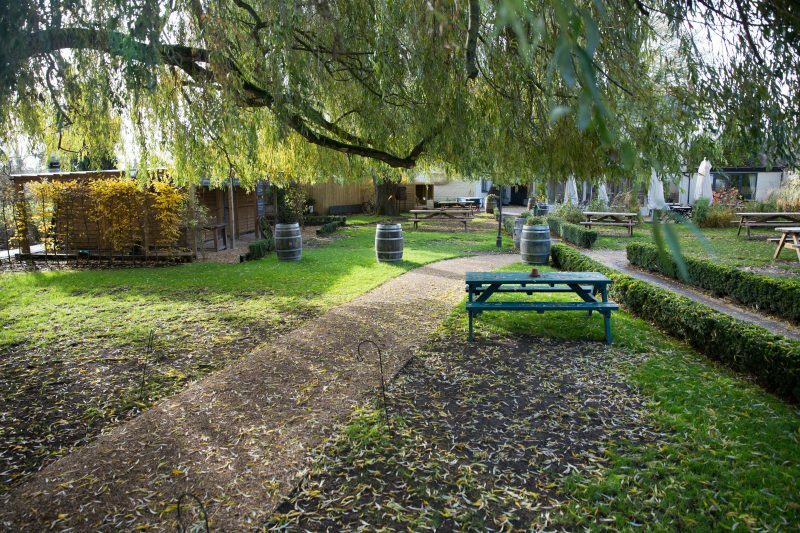 During the summer months, it is a busy venue and has an enviable large garden out the back. Continue through the garden and you will come to the Thames which is defiantly worth a stroll to. One can imagine the various scenes from Morse / Lewis and Endeavour filmed, if not in this exact location, then surely very close by. After taking our photos, we headed to the church – St Margaret of Antioch. 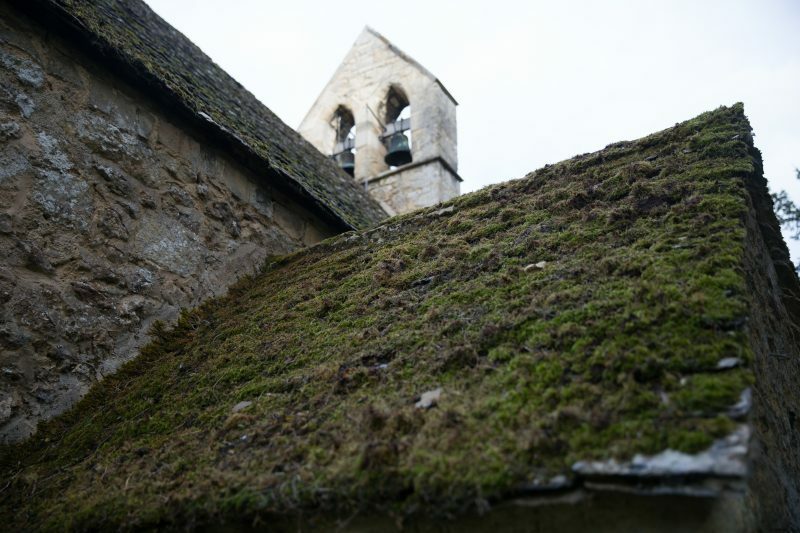 There has been a church on this site since Saxon times. We were fortunate that the church was open and able to visit inside. 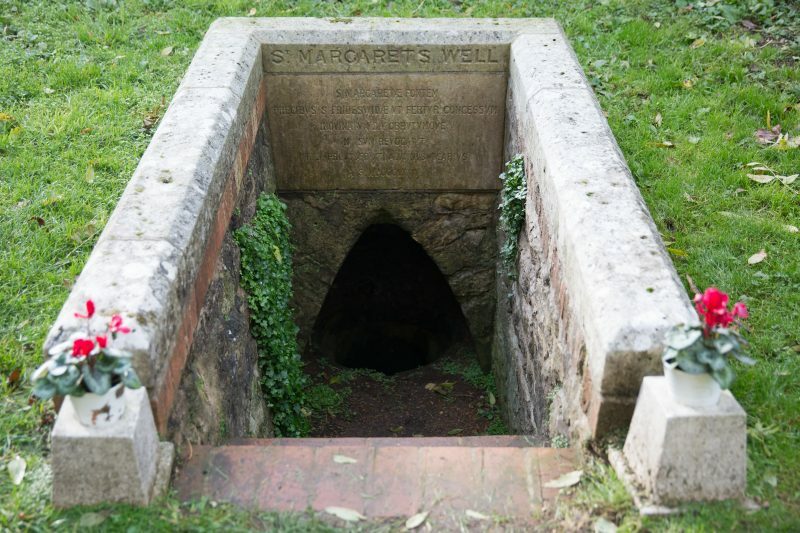 However, the real interest lies outside in the ‘Treacle Well’ which has connections to the patron saint of Oxford – St Frideswide. It also features in Lewis Carrol Alice in Wonderland stories. Three dormouse live down the bottom of the well. When Alice asks why, the reply is ‘because they were sick’. The word Treacle is an old English word for medicine. Discover the full hidden meaning of the Alice stories on a specialist tour! Affectionately known locally as ‘Vicky Arms’ this is a slightly more modern pub. There has been a public house on the site previously, the one before us today was rebuilt in the 1840’s. Located on the eastern bank of the River Cherwell, this was the pub I was most excited to visit as I had not been before. Warm and welcoming, we ordered a couple of drinks from the very friendly barman and then headed into their gardens. 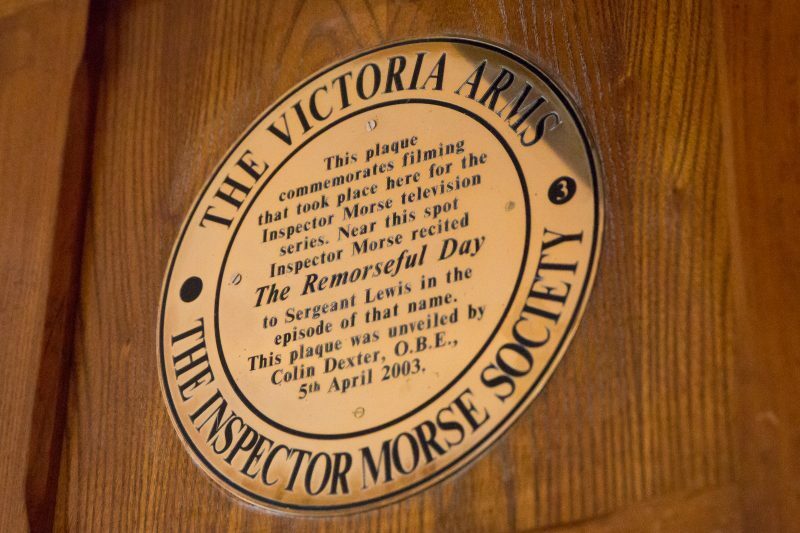 Anyone who knows Morse & Lewis will recognise the outside and it was here that they filmed The Remorseful Day; where Morse recited A.E Housman’s poem – The Remorseful Day. I could just visualise the film crew setting up and John Thaw and Kevin Whatley preparing for their lines. 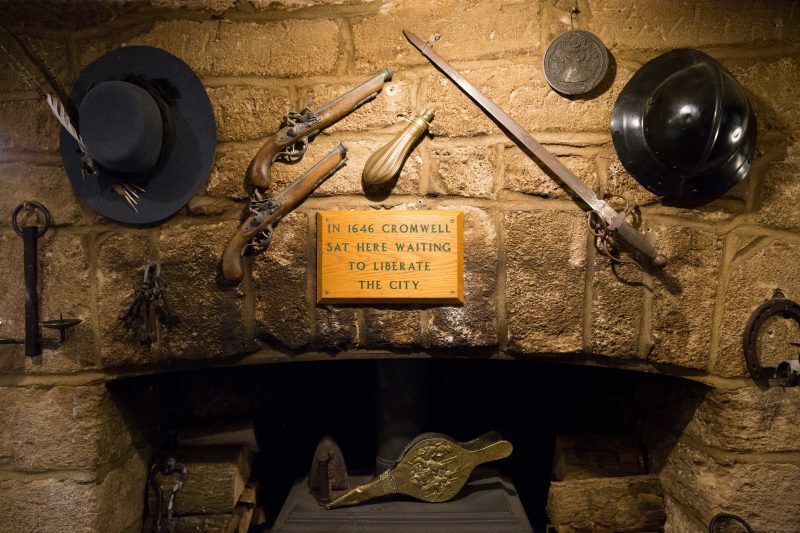 A wander around the inside brought us to the plaque (see picture) for The Remorseful Day along with another interesting sign to say that this is where Cromwell prepare to invade the city of Oxford during the English civil war. Although upon speaking to the Manager, and considering the dates, this is probably a little stretched! 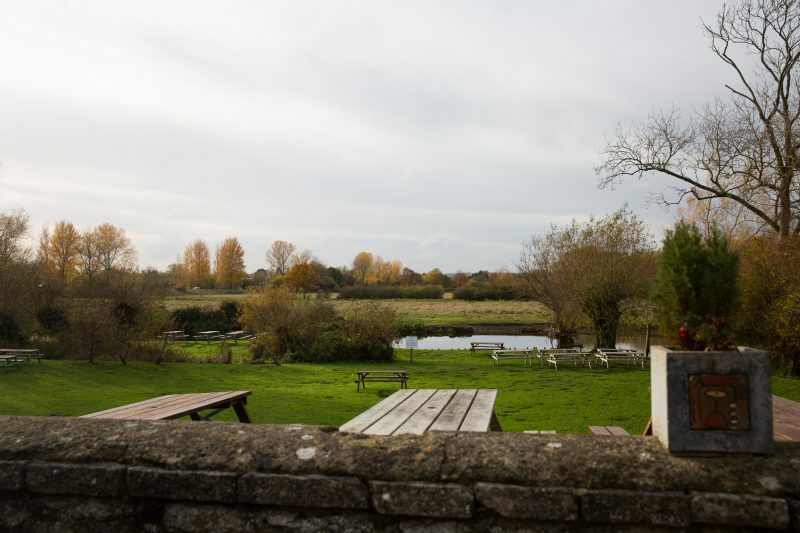 After our lunch, I had wanted to visit the third pub – The Trout at Wolvercote used in the filming but it was with dismay that I realised the time. I had to get back for the school run! 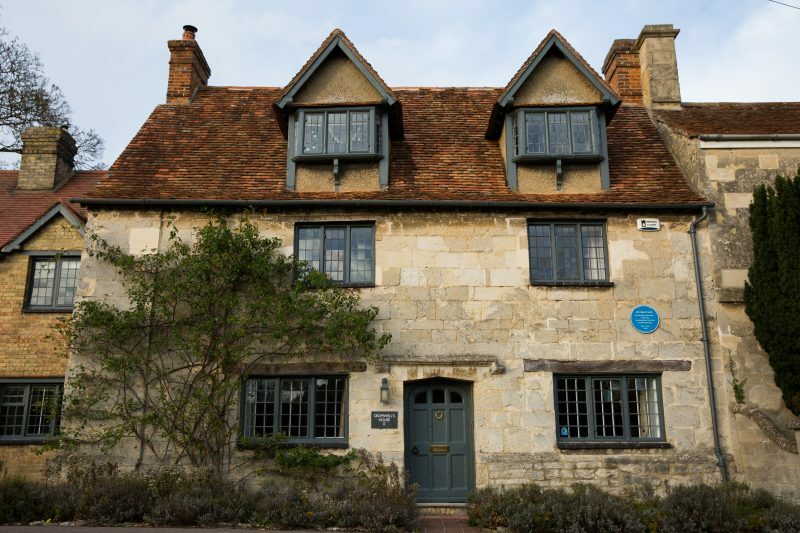 We headed out to the car and made a brief stop just around the corner where you find ‘Cromwell’s House’and then it was time for the adventure to end and homeward bound. I will return to visit The Trout at a later date. Both these pubs are walkable from the city centre or you can, of course, drive yourself. It is not a great distance between the locations but who wants to drive when fully immersing themselves in the world of Morse! I am tempted to join a couple of the tours myself and will certainly be bringing friends along at some point. Any comments on if you think it would benefit from a guide during the tour are welcome. 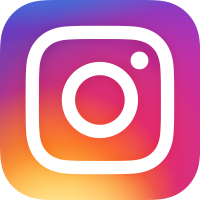 Please leave comments below. Thank you for taking the time to read and I hope I have given you a feel for these locations. They do say that a picture speaks a thousand words and I am grateful to Phil for taking such insightful photos. All photos are copyright @philknight. All our tours – public or private – are available to buy as gift vouchers! Please see home page for the new booking button. A superb gift that ‘keeps on giving’ as reviewed earlier this year. 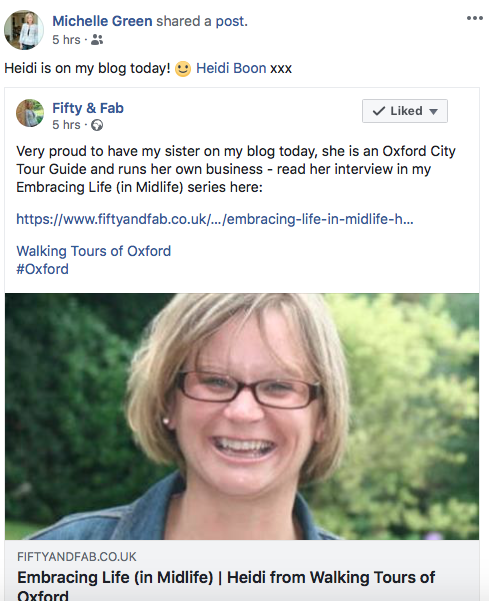 Christmas, birthday, anniversary …… Walking Tours of Oxford will ensure the very best experience for that special someone. Thank you to my sister, Michelle Green of Fifty & Fab for including me in her recent interview section. Check out her blog and grab yourself a discount on Morse / Lewis and Endeavour Tours!